The large ceiling rose (15 cm dia.) 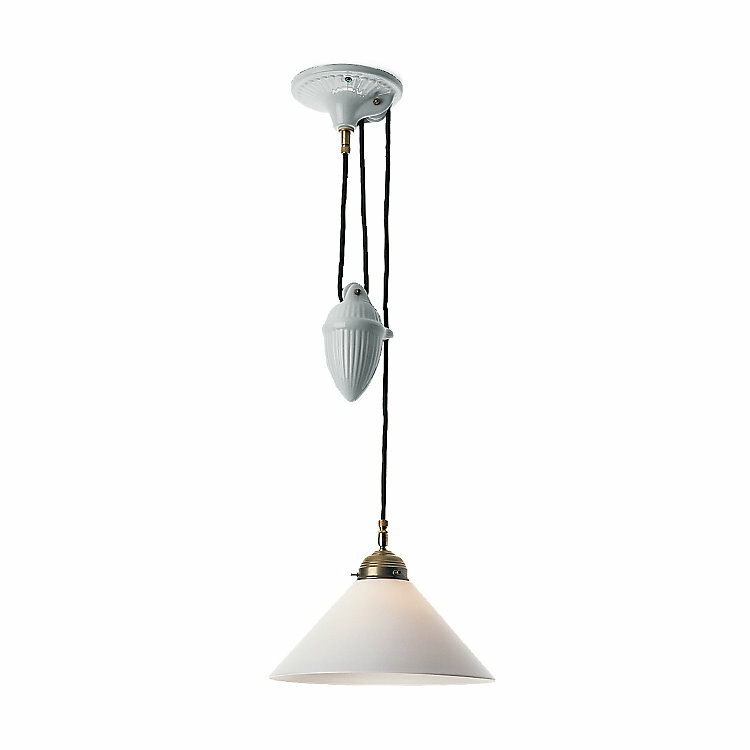 is made of porcelain (including the cable runner) as is the heavy counterweight of this height-adjustable pendant, ideal for use over the dining-table. Both have 5 m of braided cable. Opal glass shade, ca. 30 cm dia. Metal socket E 27 (max. 60 W).